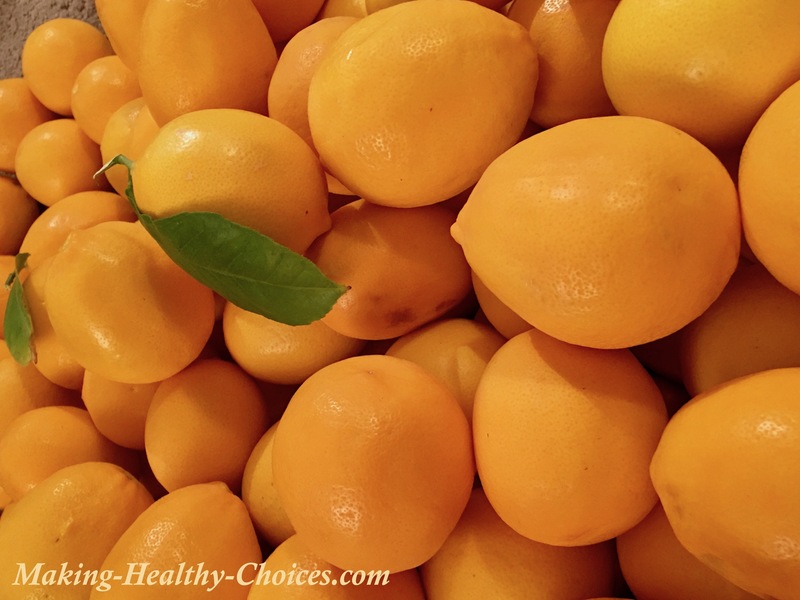 How to use Meyer lemons - when life gives you over 200 Meyer lemons, here is what you can do! Trouble viewing above video? Click here. Meyer lemons are a citrus fruit. Meyer lemons are slightly sweeter than regular lemons. They have a smoother softer rind than regular lemons and that rind has a more mild flavour. 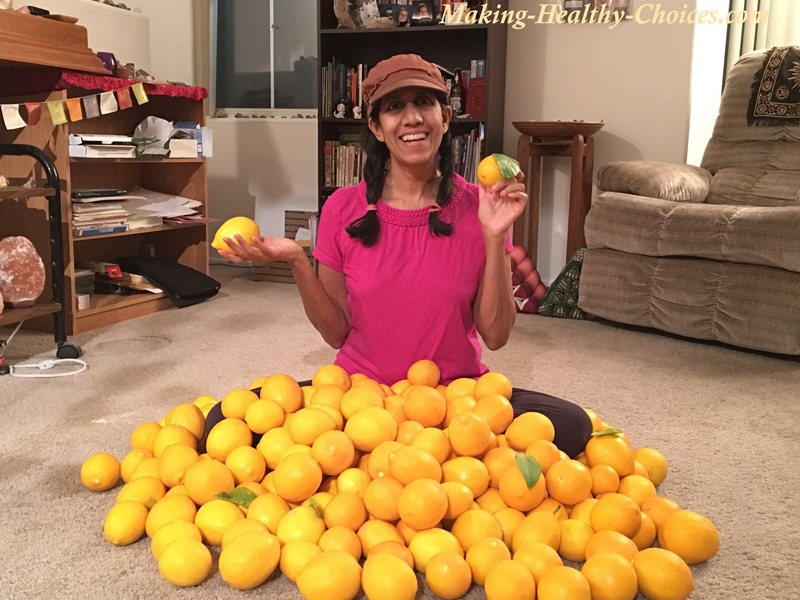 Here I am with this amazing Meyer lemon harvest that we just picked! Lemons have been used through the ages. They are widely used in drinks, sweet and savory dishes. Lemon Water, Lemon Ginger Mint Water, etc. Salad: dice up fresh Meyer lemons (rinds too) and add to salads. Juice and then freeze juice into lemon ice cubes (great to add to drinking water or thaw any time you need lemon juice). 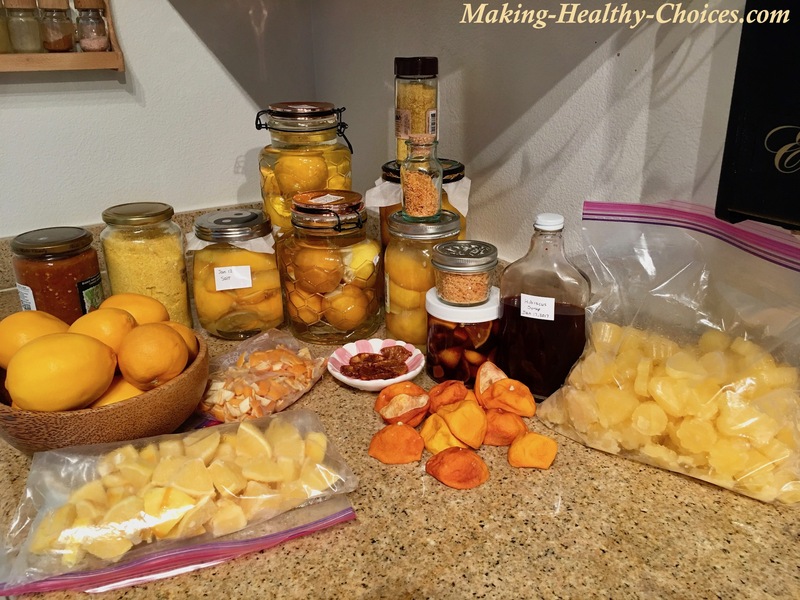 Add dried lemon peels to herbal tea mixes. Simmer pot of water on stove and add in dried lemon peels, let simmer to release beautiful citrus scent into air - great to freshen and purify the air in your home, will also add moisture into the air if air is dry. Steep dried peels in vinegar to make all-purpose spray cleaner or window cleaner. Powder down the dried peels to make a lemon rind powder (I use a blender for this) - this powder can be used in smoothies, ice creams, energy balls, salad dressing, etc. Dice up the fresh rinds and then freeze them for use in salads or other dishes when you no longer have fresh lemons on hand. Zest the lemons and then dry and bottle the zest for later use. Once lemons are zested, cut up and freeze the remaining lemon in chunks that you can add to green smoothies, lemonade drinks, etc. Preserve the lemons in lemon juice or brine for about a month. Preserved lemon peels are an ingredient in many dishes and drinks. Make lemon candy by slicing lemons, coating in either raw honey or coconut palm sugar and then dehydrating. Use to make hibiscus lemon syrup that can be used to make a healthy sparkling drink (great alternative to soda pop) or a drizzle on top of ice cream, chia puddings and many other things. So Many Ways to Use Meyer Lemons! Most mornings I drink a big glass of lemon water before I eat or drink anything else. This is like a shower for the inside of your body! After sleeping (not eating or drinking anything for several hours) your body loves to get hydrated and it also loves to eliminate waste material. Lemon water will greatly help with both of these! Thinking of how to use Meyer lemons? If you do nothing else, do this - a nice big glass of lemon water when you wake up!